Pre- Owned Lifts / Docks , Etc. WaterWorks Marine can resolve your shoreline erosion with a Vinyl Interlocking Seawall. WaterWorks Marine is offering several ways to control weeds and algae at your lakefront or riverfront home. One approach is through safe chemical applications. Another is with fans that move the water and prevent stagnation. In addition, we have a chemical application that actually reduces muddy conditions in a natural way. If you have weed or algae problems, give us a call to discuss a way to eliminate those issues. Due to a health related issue WaterWorks Marine WILL NOT be providing In - Out service of docks & lifts this season. We are very sorry we will not be able to provide this service we have offered for many years. WaterWorks Marine would like to welcome you to our web site. Hopefully the information herein will help you in your research into seawalls, boat lifts and dock systems. We now offer pond areation as a new service along with lake fans that move stagnant water, reducing algae and weeds. All our products are backed by our professional service. WaterWorks Marine has been in business for 37 years. 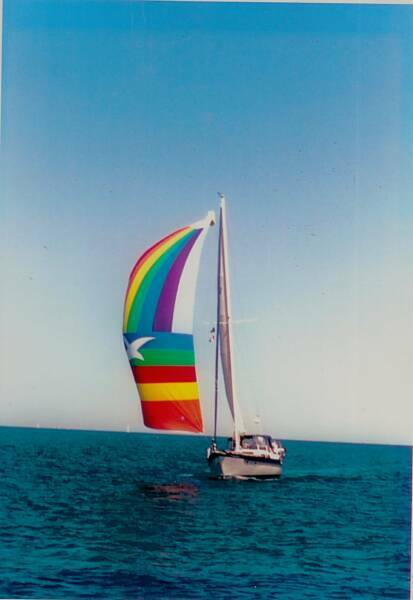 Back in 1982, we began as a ski boat dealer and sold 2 lines of the most popular competition ski boats. As we came into the 90's, the introduction of vinyl seawalls made inroads to the needs of the residential lakeshore owner. 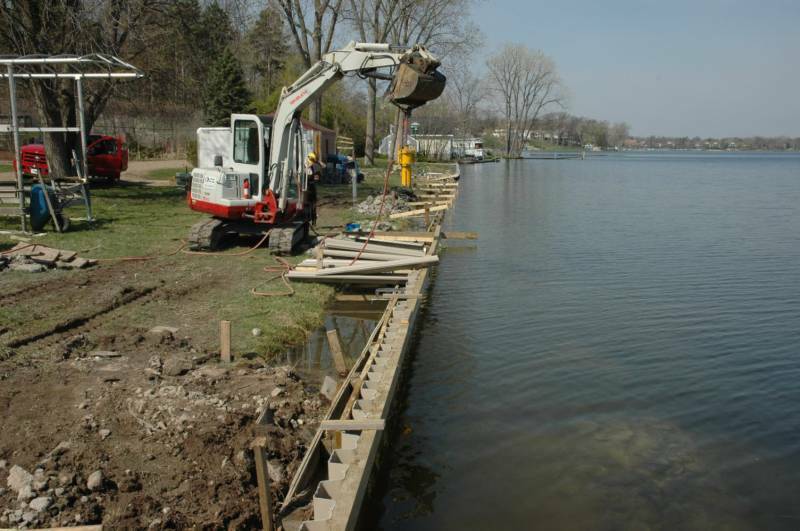 WaterWorks Marine was a pioneer in the realization that this new product held exemplary advantages for homeowner's on lakes and rivers and now offer a answer to their continual attempts to control shoreline erosion. As we evolved from a boat dealer to a shoreline specialist, our product line changed to seawalls, This product interplay has developed into what we like to refer to as "shoreline solutions". Our goal and the services we offer are intended to give you low maintenance, ease of use and maximize your free time to enjoy the things you enjoy most. 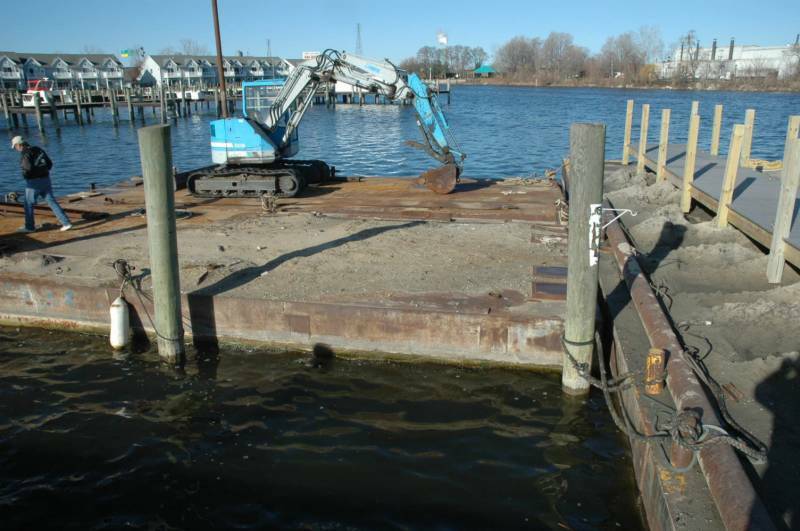 In 2019, our seawalls provide the ultimate solution to shoreline erosion. Our seawalls also simplify lawncare maintenance, beautify your property and reduce fertilizer run-off into lakes & rivers. A real plus for our environment. As we look back over the past 37 years, we have fond memories of the products, services and people we have had contact with. A number of our customer's have been with us for many of those 37 years. For the future, we look forward to meeting new customers; to continue to improve the environment and make life a little more comfortable for both our current and future customers. If you are new to our website, take a moment to look through the heading pages and learn more about us. If you are a potential "New Customer" we look forward to hearing from you. A new seawall installation with our Mini Excavator and Pneumatic driver. The result? A professionally driven wall to assure you a lifetime of service.